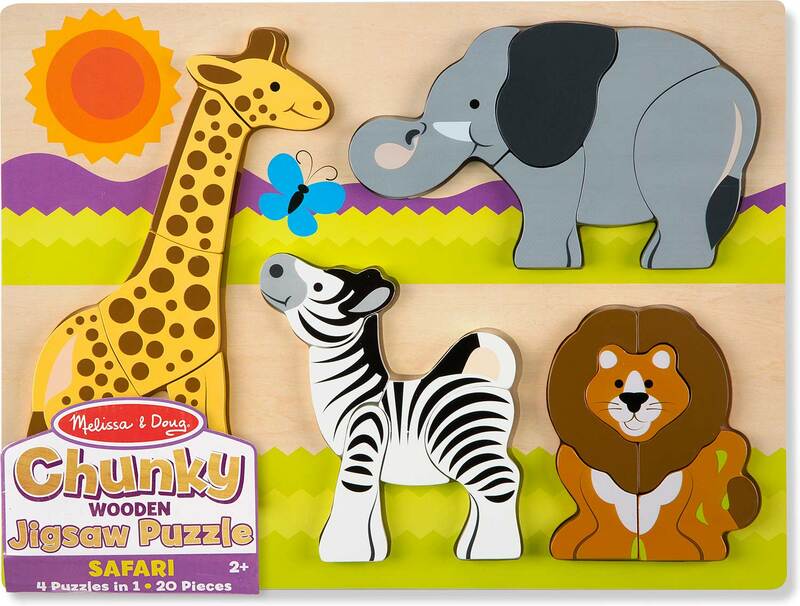 It's four puzzles in one! 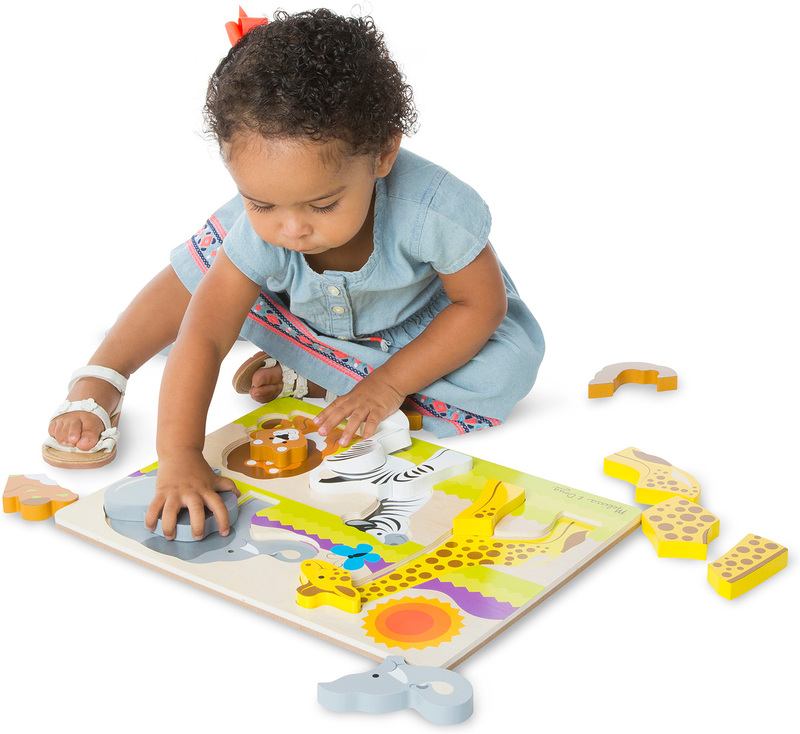 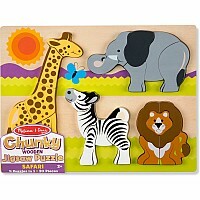 This adorable chunky puzzle is a perfect first jigsaw for toddlers two and older! Each of the four brightly colored safari animals - a giraffe, a zebra, an elephant, and a lion - has five thick, easy-to-grasp pieces, for 20 pieces in all. 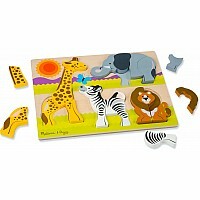 Kids can do one jigsaw at a time, or sort all the pieces at once for an extra challenge. Matching pictures on the illustrated wooden puzzle board help make the puzzle easy to solve and fun to do, helping to build self esteem. 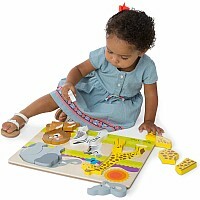 Also helps develop counting and fine motor skills, and color and animal recognition.